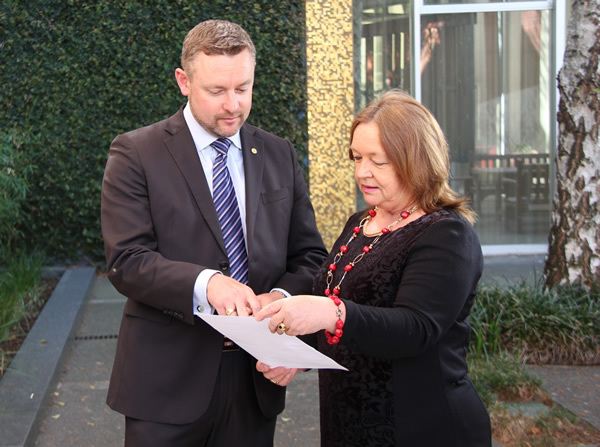 Minister for Racing and Gaming Joy Burch today announced the most comprehensive and wide-ranging reforms to the clubs sector in the ACT since self-government. “The ACT benefits significantly from the unique and valuable role our community clubs play, whether it is through the direct financial contributions they make to community-based organisations or simply as a venue for Canberrans to gather and socialise,” Ms Burch said. “The ACT Government is committed to ensuring that our clubs are supported by contemporary regulatory arrangements so they can continue to thrive. “The reforms I announce today are a result of much hard work between the government and industry over the past two years, following the commitments made in a Memorandum of Understanding between the government and ClubsACT in 2012. Retention of a strong focus on harm minimisation. “The Gaming Machine Reform Package heralds a new era for the industry. The freeing up of regulation and introduction of a trading scheme will allow the clubs greater flexibility to manage their business,” Ms Burch said. “Striking the right balance has been at the forefront of reform development. Equally as important to supporting clubs is the need to maintain a strong focus on harm minimisation from problem gambling. “While I want to see the clubs continue to grow and prosper, this package will also result in the Territory achieving the biggest reduction in gaming machine numbers in its history, with future increases linked to population growth. What a cop out by the government. Instead of setting a path to reduce the number of these insidious machines in the community (and hopefully in time banish them to the ends of the earth), despite the initial reduction in number of machines, all it will do is set a path to increase the number of machines year after year with this ‘ratio’ rubbish for the maximum number of machines. The irony with this statement is that the only casino we have isn’t permitted to have poker machines. If they changed the name of the casino to “Casino Labor” that policy could all change overnight. What a joke of a policy…. an ever increasing number of machines in the community as our population grows….. just what we need. All this will do is see even more machines in the big casino like poker machine dens we already have. They are already sucking the lifeblood out of a significant part of the community – why is the Government encouraging it even more?